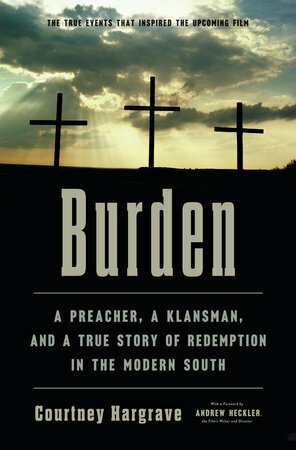 Courtney Hargrave, Burden: A Preacher, A Klansman, and a True Story of Redemption in the Modern South (New York: Convergent Books, 2018), 227 pages, no photos or index, 22 pages of notes and sources. Michael Burden, a troubled young man, came under the spell of John Howard, a leader in a section of the Ku Klux Klan. Howard had purchased an old movie theater across from the courthouse in Laurens, South Carolina. With Michael’s help, they partly restored the building and opened within it a Ku Klux Klan museum, a store called the “Redneck Shop,” and a center for Klan meetings and recruitment. Standing in opposition to the theater was David Kennedy, the African-American pastor of the New Beginnings Missionary Baptist Church. The confrontation between the church and community against Howard and his museum and store made national news in the 1990s. This is their story. Courtney Hargrave, a journalist and former ghostwriter, researched and wrote the book that was released in conjunction with the movie. Heckler wrote the forward for Hargrave’s book. Hargrave’s writing is crisp and reads easily. She provides enough background to the various phases of the Klan to help the reader understand the fractured history of this homegrown American terror group. She provides local historical background of white supremacy in Laurens, a town named for a slave trader and the location of lynching activity in the first half of the 20th Century. She delves into the relationship between Burden and Howard providing a case study of how older Klansmen befriend and then use lost youth to further their misguided mission. Her accounts of Reverend Kennedy’s actions show the struggle of those within the African-American community to provide the needs of their own constitutes while showing love to their enemies. I would have liked to have learned more about the thoughts and feelings of white residents who were not involved in the Klan, especially white churches. Hargrave primarily focused on the New Beginning Church, making the battle between them and Howard. I found myself wondering if more churches, African-American and Caucasian, were involved. Although she doesn’t say so in the book, I know the author’s time was limited as she was under pressure to publish the book before the movie was released. I question if the lack of time and also the movie’s plotline (which needs to simplify the complexity of the story) might have played a role in the way she tells this story. Hargrave’s writing reminds the reader the role race plays with groups that feel disenfranchised in America. Laurens is an upstate South Carolina town that has been gutted of its industry and hasn’t received the influx of new industry as have other communities in the region such as Greenville and Spartanburg. For those with little hope, it is easy to fall prey to organizations like the Klan. I recommend this book. Not only do we witness someone radically living out the gospel and fulfilling Jesus’ command to love and do good to our enemies, we also gain insight into how a person like Burden might be drawn into an organization like the Klan. I doubt I would have read this book had it not been for meeting Ms. Hargrave at a reading in Savannah late last year. The story caught my attention. I’m glad I picked up a copy and I hope the book finds a wider audience. I recommend it. Probably not one I would pick up on my own, either, but it does sound interesting. Redemption is such a magnificent and soothing word, Sage. I am fascinated by the grace and love shown by people who can help those who hate them. I grew up in Canada, so it’s difficult for me to understand groups like the Ku Klux Clan ~ not that Canadians are blameless, especially in their treatment of Indigenous people, and yes, Blacks too. To be of little hope is soul-destroying, and it cripples lives all around our world. Stories of redemption give me hope! While I haven’t read any books like this I have watched some movies kind of like this. Sounds like an interesting story though. I’ve never heard of this book. One of my friends is a history professor and expert on the Klan, so I’ve heard her talk about it, but I’ve never read a book about it. Great review! 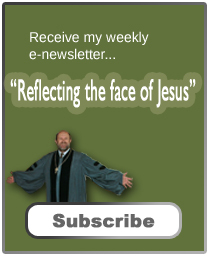 Sounds like an inspirational look at grace, forgiveness, and redemption. Thanks for sharing your review.